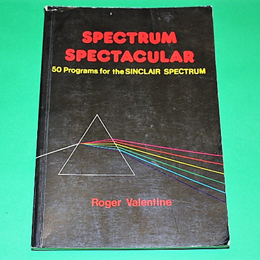 50 programs grouped into 10 sections covering a wide range of subjects and functions of the Spectrum. Short programs cover the character set, colour, pictures, sound and timing functions, mving graphics, space games, arcade games, intellectual exercises and business programs. For the more advenurous, there are sections on memory contents and usage, machine code routines, mnemonics and decinal listings each accompanied by a BASIC program to enable the code to be loaded simply. A 138 page paperback in reasonable, fully usable condition.